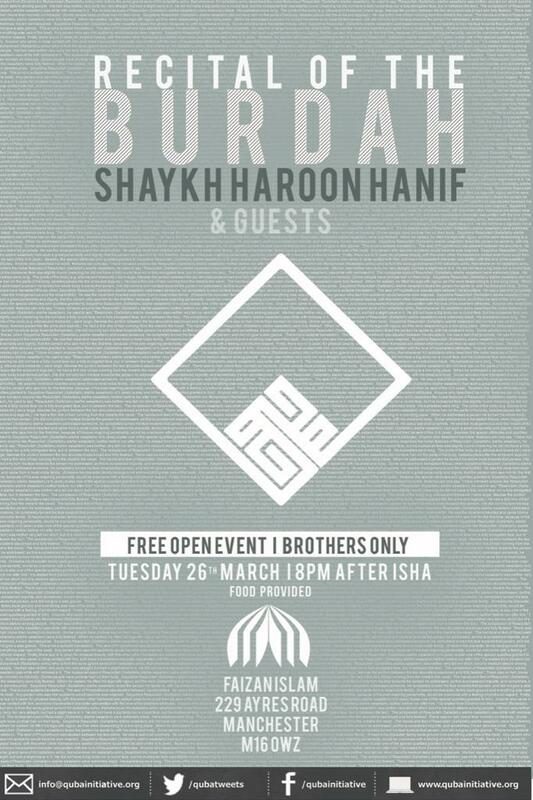 We're honoured to welcome Shaykh Haroon Hanif to Manchester for a recital of the noble Qasida Burdah. Please join us to celebrate our Beloved Prophet ﷺ on Tuesday 26 March through the recitation of the famous poem by Imam Busayri (alayhi rahma). Open to brothers only. Food will be provided.